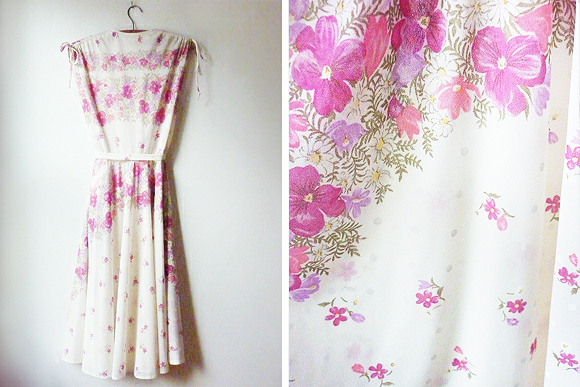 How lovely is this floral vintage dress? It’s nice and flowy and I can just picture it being perfect for a picnic or on a warm summer day strolling along the beach. 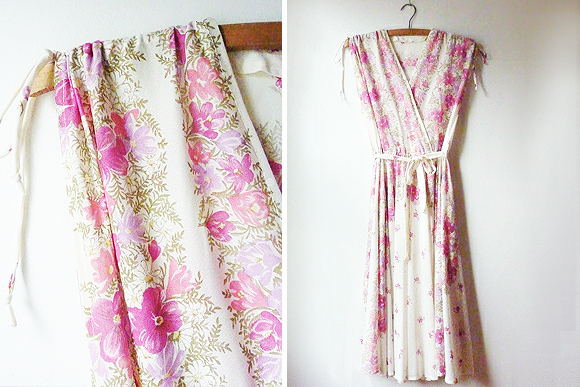 Alessia from The Vintage Ramble was kind enough to donate it for a giveaway! It will best fit a S/M and has an elastic waist and fabric belt so its nice and stretchy or you can cinch it! Measurements are: Bust 16″, Waist Up to 15.5″ Hips free, Length:41″ (laying flat). You have until June 24th to enter! 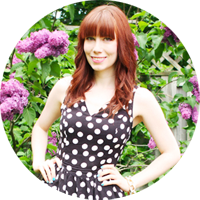 This entry was posted on Friday, June 15th, 2012 at 9:25 am	and is filed under Giveaways. You can follow any responses to this entry through the RSS 2.0 feed. You can leave a response, or trackback from your own site.